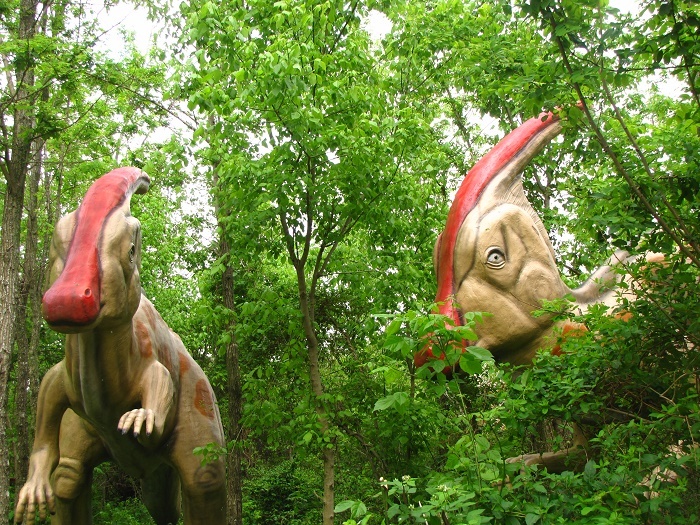 Dinosaur World Kentucky is an exhibition ground that serves as a park which is part of two other groups of learning centers for the history of the dinosaurs, located in the vicinity of Cave City which forms the Barren County of the Commonwealth of Kentucky, within the United States of America. 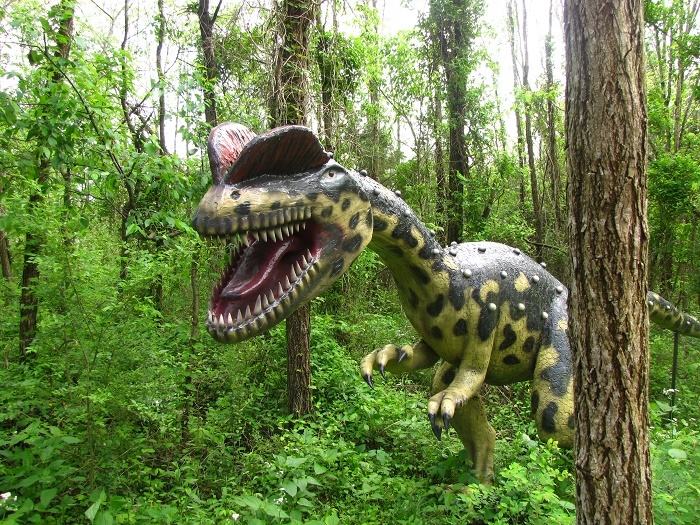 Being the brainchild of the Swedish businessman, Christer Svensson, this and the other two parks were built in the early 90s, when Svensson with his family moved to the United States and purchased an alligator farm in order to be the park. 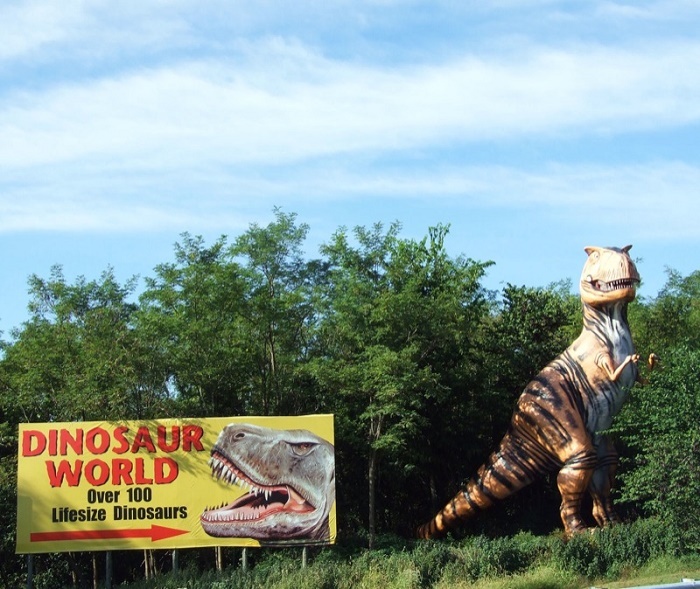 As the park is situated alongside an exit of the I-65 highway, according to the Southern Living Magazine, the ext was named to be the “best exit” in the state. 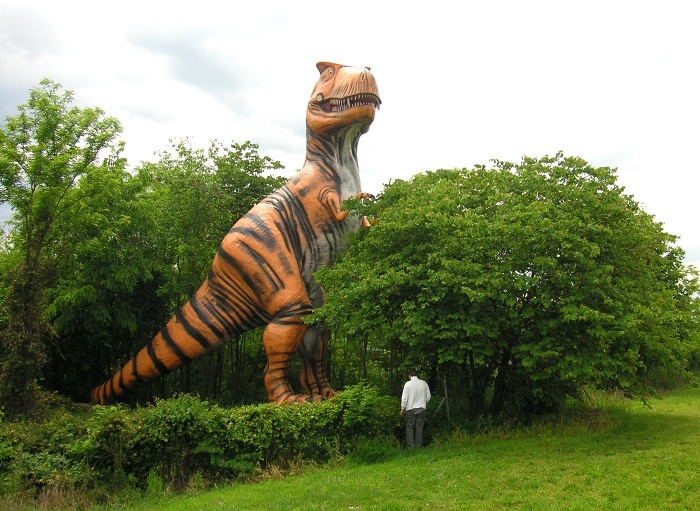 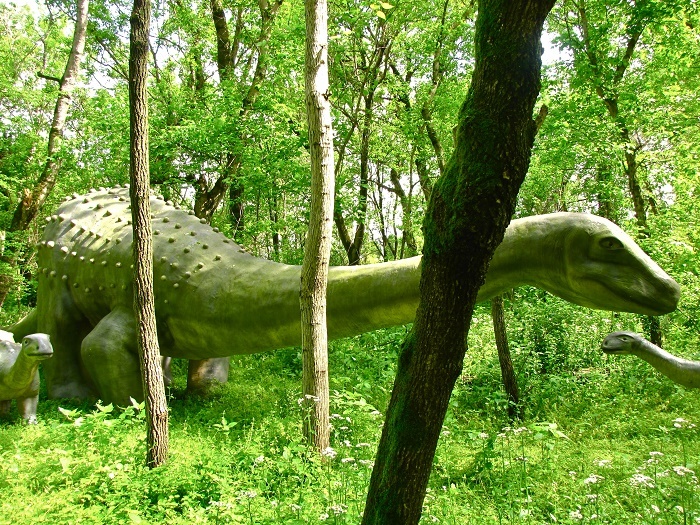 Since Dinosaur World attracts plenty of visitors who would like to learn a little bit more about the giants that roamed the planet, the tourists are simply wandering among the hundreds of life-sized dinosaurs which are created in very natural setting in order to showcase as best as possible their living environment. 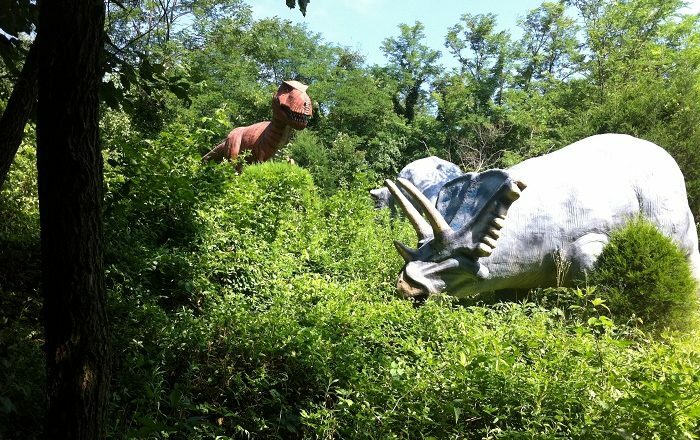 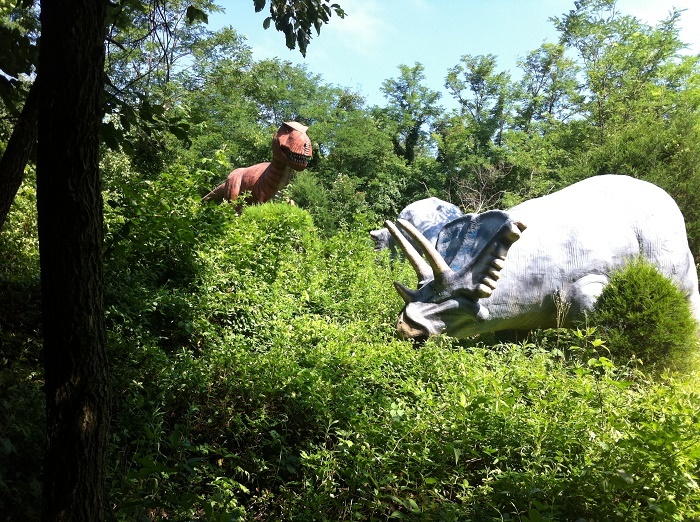 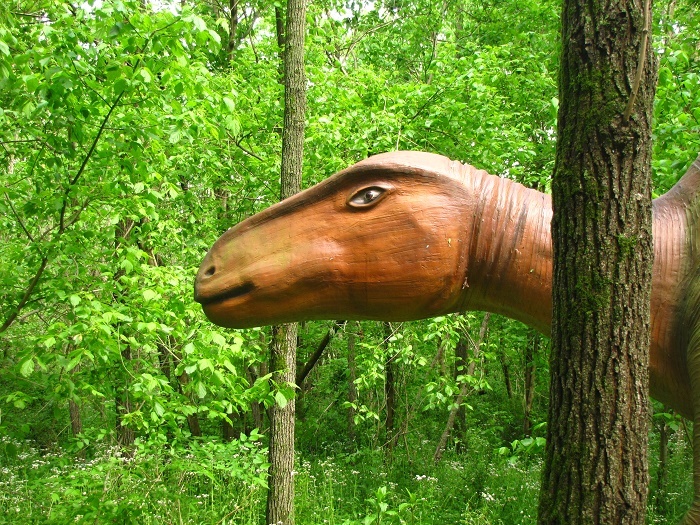 There is a walking trail that leads through a forest where more than 100 dinosaurs can be found. 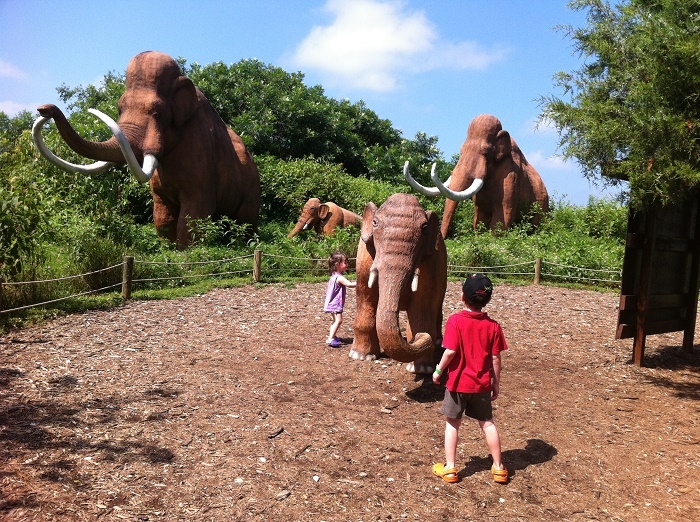 Each one of them has an explanatory plaque that tells the story of the life of the giant, and in addition there are some other very educational materials which are interesting to everyone. 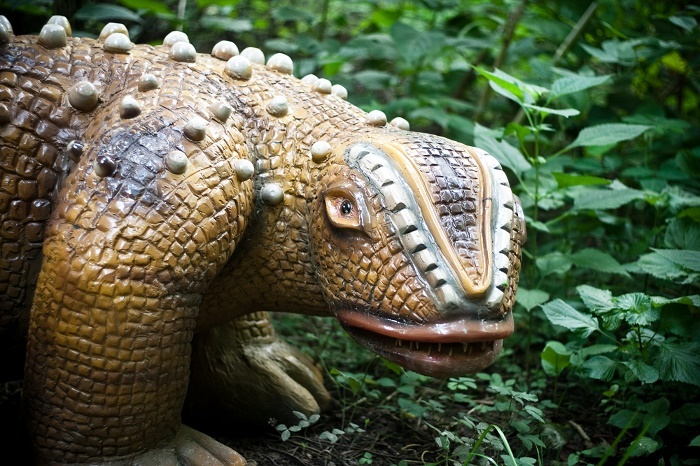 There is the possibility for the younger ones to do a fossil dig and through activities such as this one to be able to embrace the story that can be uncovered while in the process. 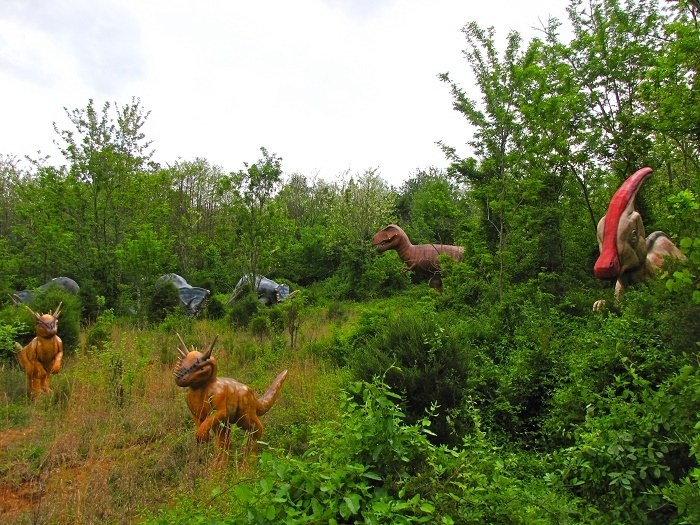 More impressive activity is the Dino Gem Excavation, which through mining sluice, it attracts visitors to seek for treasures such as real minerals, arrowheads, or even gems that later can be kept. 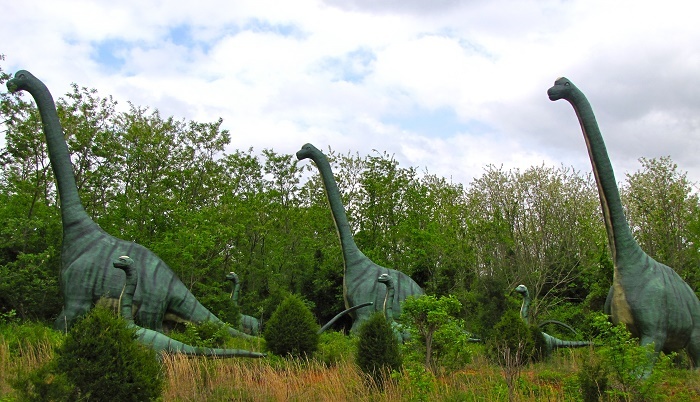 All in all, even though the dinosaurs are constructed from fiberglass, steel and concrete, they are as real as possible to the real dinosaurs, and spending just couple of hours here will make you inspired to visit all of the three Dinosaur World parks.